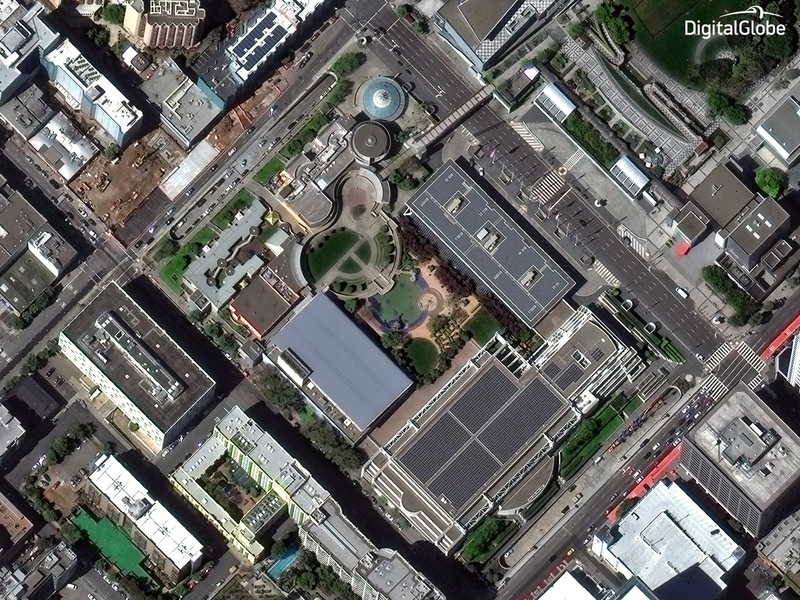 DigitalGlobe, the publicly traded, high-res imagery service that owns its own fleet of satellites, has long been known as a purveyor of fine satellite imagery to governments and large companies like Google and Nokia. While these companies then often made DigitalGlobe’s imagery available through their own developer programs, DigitalGlobe itself never focused on making its data available to smaller-sized startups and companies. Now, however, the company is starting to open up a bit more and it’s launching a beta of its Maps API for developers who want to integrate its imagery into their own applications. Working through third parties has worked well for DigitalGlobe so far, but now it wants to get closer to the developer community to address some of the shortcomings it sees with the current model. Barrington tells me DigitalGlobe will offer two versions of its maps. One will give developers access to the most current imagery and a second base map (called “Vivid”) will be the cleaned up version of the company’s data. Because DigitalGlobe cleans up these images, color corrects them, and makes sure your view isn’t obstructed by clouds, it’s obviously not as current as the first set. Most developers, however, don’t just want pretty satellite imagery (with resolutions of down to 30 centimeter per pixel in some regions). They also need street data and other information. To offer developers that, the company has partnered with Mapbox, an OpenStreetMap-based mapping service. 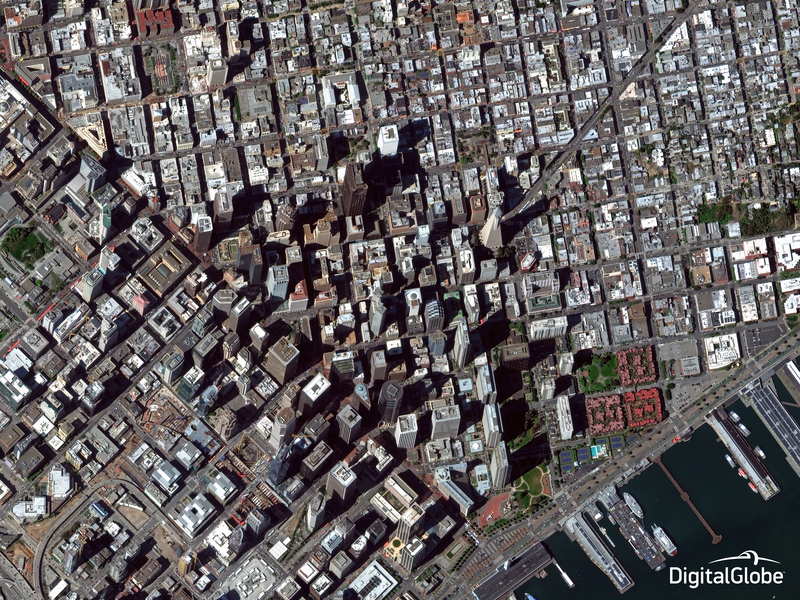 Mapbox will distribute DigitalGlobe’s imagery and back the service with an SLA. Barrington believes that the company’s image quality will win customers who would have otherwise used APIs from Google or other mapping services. He also says that some people may switch simply because DigitalGlobe will give developers the ability to more easily brand their maps with their own logos, allowing for offline use, and use the company’s data to extract whatever information they need from it. 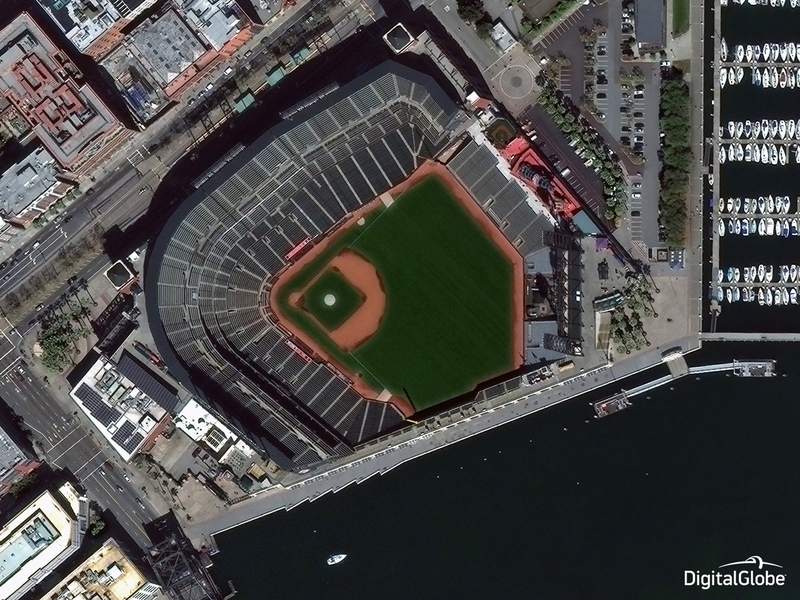 He also argues that Google’s imagery is not as clear and frequently updated as it could be. For DigitalGlobe, this is quite a change, something Barrington also acknowledged. Until now, the company focused on large clients. “But we are trying to shift that,” he said. With its GBDX platform, the company already offered developers access to a massive set of historical data, but for the most part, that’s not what startups that want to integrate maps into their apps are looking for. For now, the DigitalGlobe Maps API is still in beta and the company hasn’t settled on a pricing plan yet. As Barrington told me, the company wants to use this beta phase to figure out what the best pricing scheme would be, but he also told me that the company plans to offer a limited free tier.